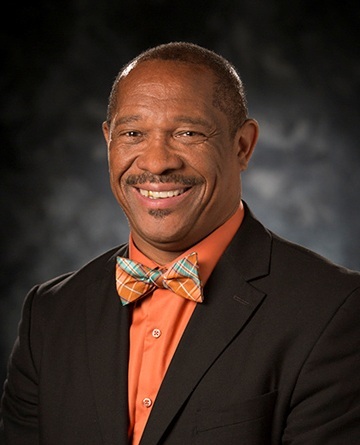 Dr. Colbert, a native of Rondo, Arkansas, received his Bachelor of Special Education and Elementary Education, his Master of Special Education, and his Doctor of Educational Leadership all from the University of Arkansas. He has had a 43 year career with the Fayetteville Public Schools, serving first as a special education teacher at Bates Elementary, then as principal of Jefferson Elementary, and also as the principal of Holcomb Elementary when the school opened. In August 2008 Dr. Colbert joined the administrative team where he served as the Associate Superintendent for Elementary Education and then as the Associate Superintendent for Support Services. Dr. John L Colbert is known throughout Fayetteville, and Arkansas, as a leader both in the school and university communities, serving in leadership capacities with Area III Special Olympics, St. James Baptist Church, Alpha Phi Alpha Fraternity, Big Brothers and Big Sisters, and the Arkansas Athletics Association. He is the past president and founder of the Northwest Arkansas Branch of the NAACP and the founder and past president of the Northwest Arkansas MLK Council. He was recently recognized by the University of Arkansas and the Arkansas Alumni Association with the Andrew J. Lucas Service Award, and will be receiving the 2018 Silas Hunt Legacy Award this November from the University for his significant impact on the University of Arkansas, and the state of Arkansas. Dr. Colbert was married to the late Cheryl Colbert for 42 years, and together they raised two daughters, J’onnelle Colbert-Diaz and Janneesa Colbert, both Fayetteville High School graduates, He is a proud grandfather to Sy’Ree, a student at Owl Creek School, and Serena, born on June 4th.